Dental imperfections can hinder a person’s self-confidence and keep them from showcasing their smile during social events or when meeting new people. At the office of Bryan Hill, DDS, we understand how traits like discolorations, chips or cracks, and misalignment can restrain some people from showing off their teeth. That is why our Spokane practice provides comprehensive cosmetic dental services, to enhance a person’s smile. Looking to improve the appearance of your teeth dramatically? Contact our practice today to learn how Dr. Hill can help you reach your dental goals. When patients begin their path to enhanced aesthetics regarding their smile, they must first have an examination done by our dental professional. At this time, Dr. Hill analyzes your dental anatomy to see if there are any oral health concerns present as well as determine which cosmetic services you would best benefit from. We utilize state-of-the-art technology to gather information about the unique aspects of your smile. By using digital imaging to comprehensively review your dental anatomy, we make sure that our treatment plan addresses each one of your dental concerns. We have two teeth whitening options available for our patients. We have two take-home brightening methods, both provided by the trusted brand Opalescence. One option is to create custom trays by taking impressions. The appliance you receive with this selection will conform to the unique contours of your smile, fit securely, and evenly distribute the bleaching agent. The other option we have is Opalescence Go. 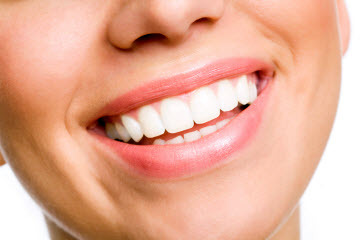 This is a great method for those eager to begin brightening their smile right after the initial consultation. There is no need to wait for the creation of your trays as you take home the whitening system after your first appointment. These are used to restore teeth after they have sustained damage. Inlays revivify the inner structures of the tooth, while onlays are able to renew the outer layers. If you are looking to conceal dental imperfections such as chips, cracks, stains beneath the enamel, or undersized teeth, veneers are right for you. These minimally invasive cosmetic enhancements are thin shells of porcelain placed over the surface of teeth to encompass the dental structure and mask the aesthetic concerns. Patients usually only need two separate appointments to receive their veneers. Missing a tooth or considering a replacement for dentures? Dental implants are a fantastic option for replacing missing teeth. With proper care, a dental implant can last a lifetime! Implants maintain the structure of the jawbone, are resistant to discoloration, are durable and are considered more comfortable than dentures. If you are considering a dental implant give us a call to schedule a consultation with Dr. Bryan Hill today! Before and After Photos of two Cosmetic Smile Makeovers performed by Dr. Bryan Hill at Bryan Hill DDS in Spokane, WA. If you are looking to improve the appearance of your teeth, contact the office of Bryan Hill, DDS, today! Our Spokane dental team makes every effort to boost your confidence regarding your smile, so you do not have to feel self-conscious.